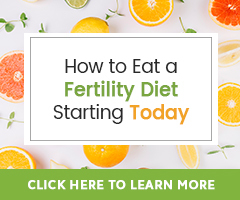 Did you know there are key nutrients, essential fatty acids (EFAs) and traditionally used fertility herbs, that can be used as part of a general fertility program to aid in boosting overall fertility or to help you get pregnant when the time is right? If you’ve caught on to me, there are! 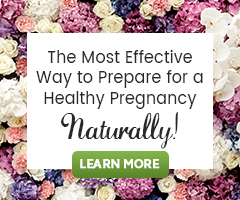 Most natural fertility programs include supplements and herbs known to support the body’s natural fertility cycle in preparation for conception, to help maintain the health of the reproductive system, even in the absence of a fertility health issue. 1. A whole food multivitamin – Whole food multivitamins help ensure you’re getting enough nutrients necessary for maintaining hormonal balance, supporting healthy ovulatory menstrual cycles, and creating healthy eggs and sperm. FertilicaTM Fertile Woman One Daily Whole-Food Multivitamin is completely whole food and organic, it contains gentle herbs targeted toward women’s fertility health and provides the body with the highly absorbable, easy-to-utilize, and bio-available vitamins, minerals, macro- and micronutrients. 2. Omega-3 Essential Fatty Acids – Studies show that essential fatty acids are important for smooth muscle, brain and heart health, a healthy inflammatory response throughout the body, healthy mood and behavior, as well as proper development of a growing baby, especially of the brain, nervous system, hormones and body tissue. FertilicaTM Cod Liver Oil is high in omega-3 essential fatty acids, including DHA and EPA, and fat-soluble vitamins A and D3. Its benefits include that it can be used into pregnancy. 3. Fertility Herbs – Herbs have been used since the dawn of time to promote overall health and help the body heal. Various herbs can improve fertility by supporting endocrine system function, protecting the body from the damaging effects of free radicals and stress, and boosting immunity. Female fertility herbs have the ability to promote a regular menstrual cycle, support hormonal balance, ovulation, egg and uterine health, libido, etc. Vitex (Vitex agnus-castus) is known to support the body’s ability to maintain hormonal balance, normal ovulation and balanced progesterone levels. Rehmannia (Rehmannia glutinosa) supports fertility longevity by helping the body regulate the menstrual cycle, keeping the uterus calm and relaxed, and achieving hormonal balance by supporting liver health. Maca (Lepidium meyenii) is a nutrient-rich fertility superfood foundational for egg health, energy, libido, and healthy stress management. FertilicaTM FertiliCare Phase 1 & 2 Monthly Program is a liquid herbal program that contains these five key herbs plus a few more. FertilCare is designed to support general reproductive health throughout the monthly fertility cycle, utilizing two herbal blends, one for the first half of the cycle and another for the second half. FertiliCare is for any woman whether she has no obvious fertility health issues or has random irregular menstrual cycles perhaps due to stress, travel, or slight hormonal imbalance, maybe with no other reproductive health issues present. The FertilicaTM Fertility Preparation Kit has the potential to be wonderfully supportive following a Fertility Cleanse. When a couple is supporting their fertility in preparation for conception, it is a good idea for both to cleanse the body of toxins, chemicals, and excess hormones, while supporting the healthy function of the liver. Consider also the complementary natural therapy, Self Fertility Massage. 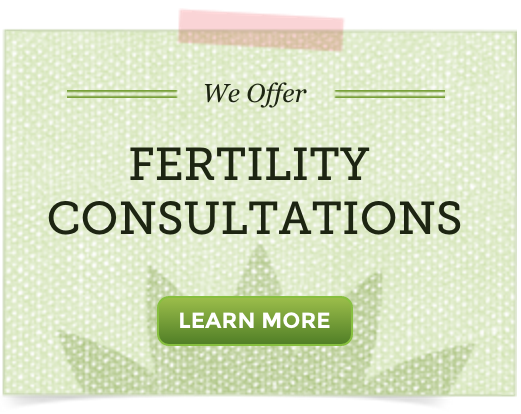 Take an active role in your fertility health and get started today! If you have any questions about the Fertility Preparation Kit, the supplements it contains, Fertility Cleansing or Self Fertility Massage, please reach out to us!